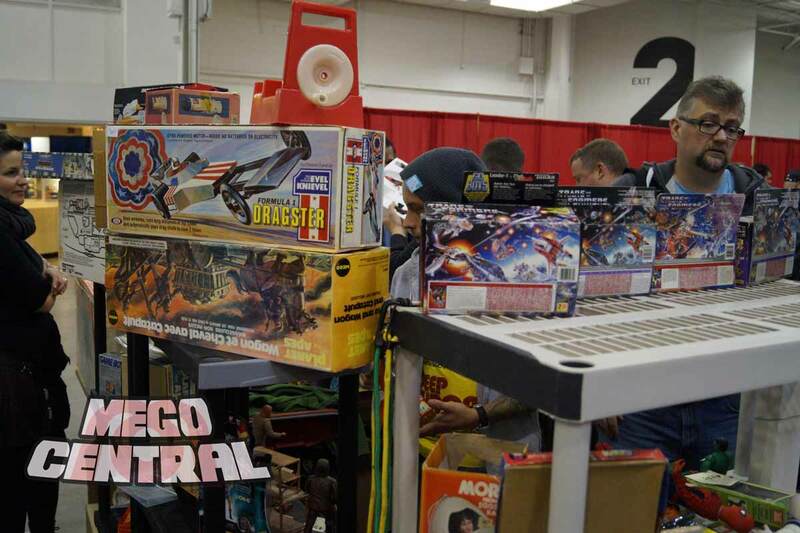 Yeah so, as promoted here, this weekend was the annual Toronto Toy Show which at one point was THE EVENT in Canada. 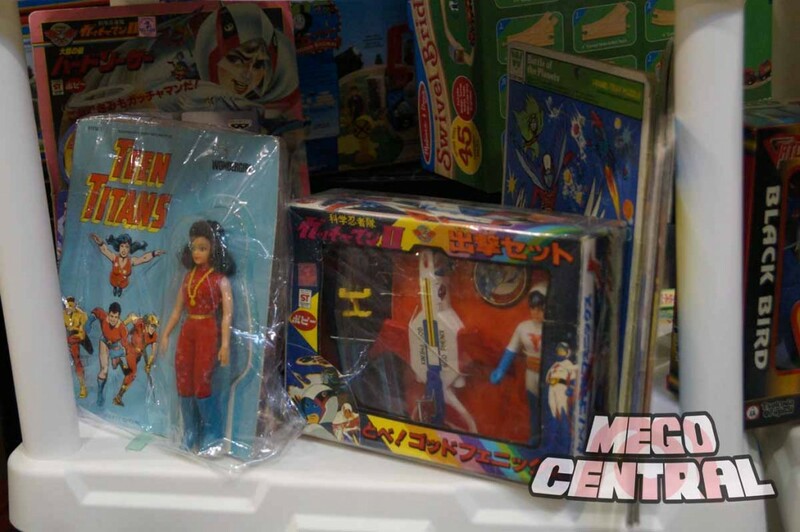 My how times have changed, read my thoughts and see some of the Mego sightings after the jump. I have been going to this show since I was a teenager. I still have the carded Bulletman I bought in the fall of 1986 for $20 at the first toy show I ever attended . 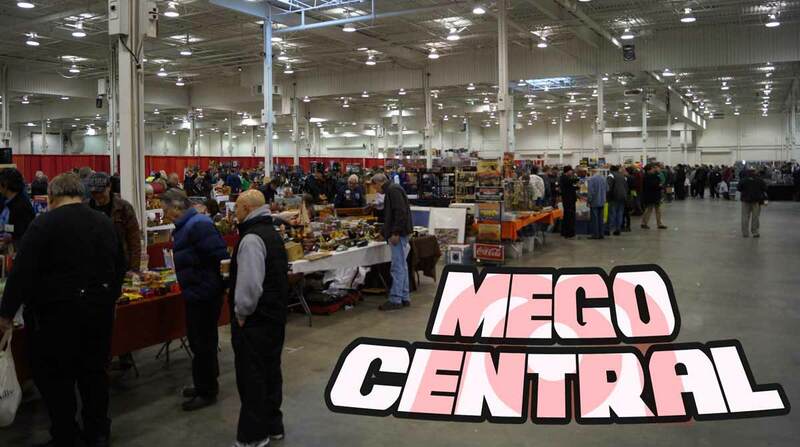 I got my first dealer table here and it was the first show I set up with my son at many moons later. It holds a special place in my heart and that’s why I’m so sad to see how it looks now. People use to fly in from Holland, the US and the UK to attend this event, now when I pulled up to it five minutes prior to opening, I got a parking space at the front door. The show runners don’t promote very well these days, from their sparse flyers you’d think it was a Victorian doll show , there is a minimalist web presence, no facebook event, no twitter, nadda. It used to be twice a year but the Spring show stopped a few years back. Getting in today was a hassle too, with lines of people being told to wait, while people off the street just waltzed in. Luckily, somebody took charge and got it done. Once in though, I was crest fallen to see it was smaller than ever, at one point (at the height of Ebay even) this show was in two halls, both bigger than this. As I watched people stream in, the sea of grey hair tipped me off as to the decline. The 20 and 30 somethings who turn up in droves to things like 80s toy con and Canadian Toycon, either don’t know about this or decided to pass. I was pleased to see some familiar faces set up, people I call friend whom i met at this show decades earlier, this made the trip for me. Many muttered their disappointment with the venue and the turn out, I was also told that set up was a complete mess, which surprised me for such an experienced show. 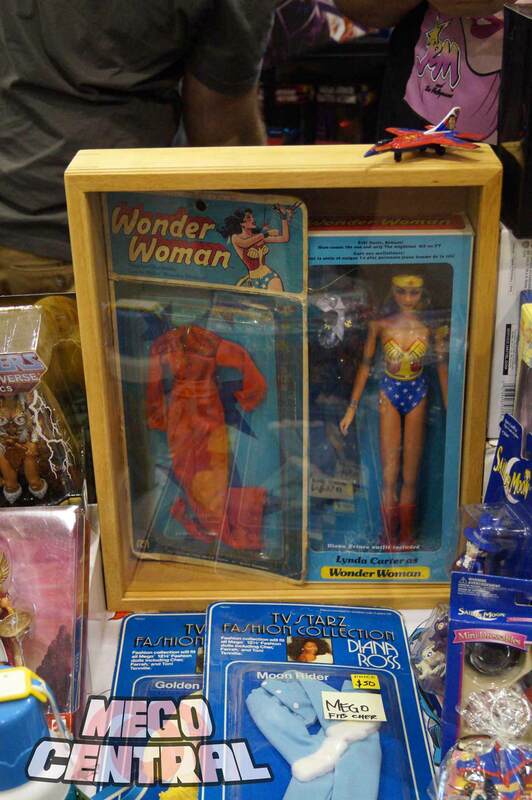 This was probably the rarest item at the show, an original Mego Wonder Woman fashion MOC. Not really my thing but I respect and love rare Canadian exclusive mego stuff like this. 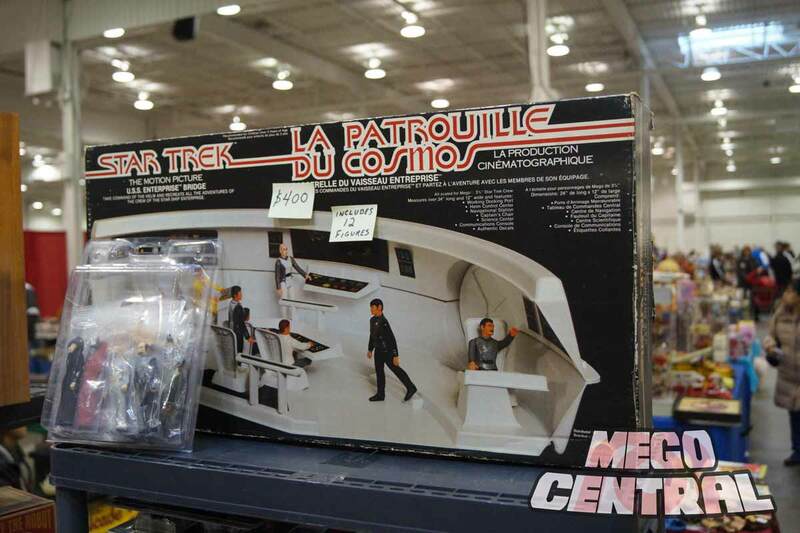 A boxed Mego Enterprise (In Grand Toys Canada) box and a complete set of figures, I won’t lie, this went into my trunk. The seller was a pal to boot! An original carded Mego Wonder Girl and some cool Battle of the Planets stuff. A super rare “NON GREY” 12″ Kirk. Super rare “Catapult, Horse and Wagon” from the Planet of the Apes line that was only sold in Canada. On the way home, I stopped at a smaller show in a community center in Ajax, Ontario. I didn’t expect much but was greeted by friendly, organized staff who seemed to be energetic about what they were doing. They had on site security, door prizes and to my surprise, dealers with a decent amount of vintage toys. It was a busy show and packed with tables. Toy dealing is alive and well. Here is a link to their website, please spread the word about the Toronto Toy Show and dammit, attend it! 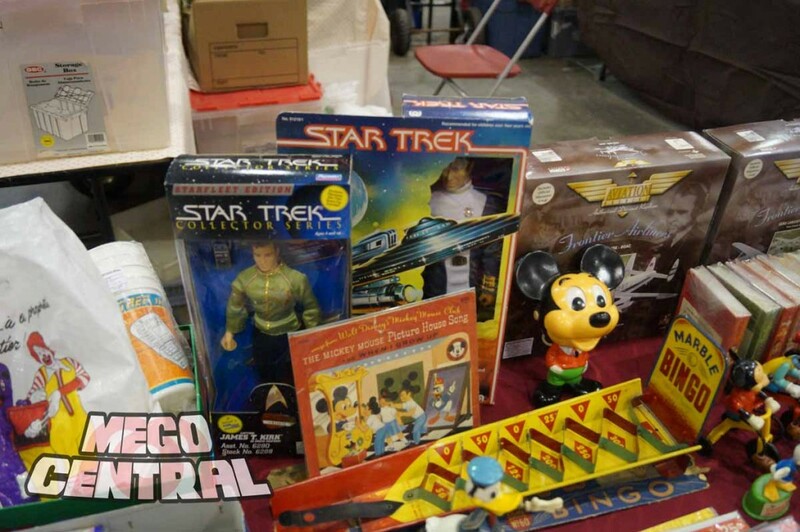 This entry was posted in Mego, Recap, Star Trek, Superheroes, Toy Shows by megohead1. Bookmark the permalink.